As an inbound marketer, you know that social media plays an important role in your marketing strategy. You definitely use it to share your company’s content, news, and culture, and you might even use it for customer service. Whatever you use it for though, you know it’s a great way to connect with your audience and build a better reputation for your brand. That being said, you also know that your social media isn’t valuable if you no one sees it. The fewer fans and followers you have, the less of an impact you’re able to make. And while it’s always true that quality is greater than quantity, in a world with millions upon millions of different social network users, there’s always going to be room for more quality fans and followers. 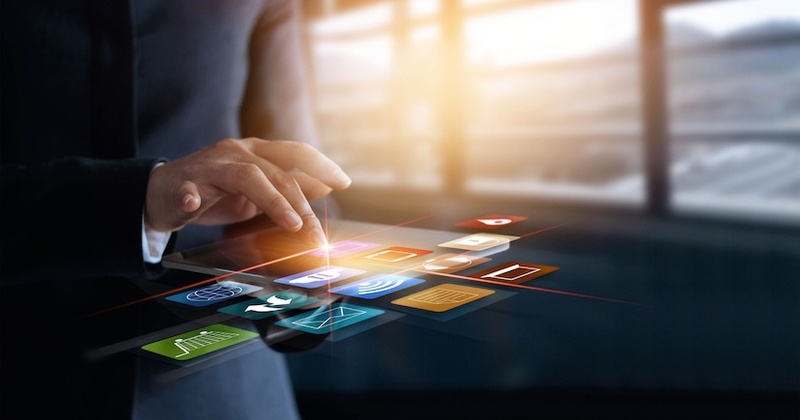 Add to this equation the changing search engine algorithms that make it difficult for businesses to be seen on social, and you’ve got a bit of an uphill battle. But we can help – here are 11 steps you can take to boost your visibility! If you don’t have social media icons for your company’s different social media profiles easily visible on your website, you’re missing a great opportunity to get seen. Put them in places with the most traffic (e.g., homepage, website footer, blog, contact us page, etc. ), and anywhere visitors would be influenced to follow your accounts. We place ours right on our Culture page, where people go to learn more about our team and how we think. You can even experiment with different icons, like Twitter’s follow button. While you’re busy adding social media icons to things, make sure your employees include links to your company’s social media profiles in their company email signatures. It’s a great way to get extra exposure. When it asks you to fill out the profile of your company’s social media accounts, make sure you do it with curious searchers in mind. Don’t go stuffing them with keywords, but make sure you use a few relevant search terms throughout your bio. Do your employees summarize their roles in their LinkedIn profiles? Gain a direct link back to your LinkedIn page by having them include the link in their profiles. If you’re looking for another good spot to include your company’s Twitter handle, try putting it on your employees’ business cards. You can even put your employees’ Twitter handles on there too while you’re at it. Looking to appear in more searches? 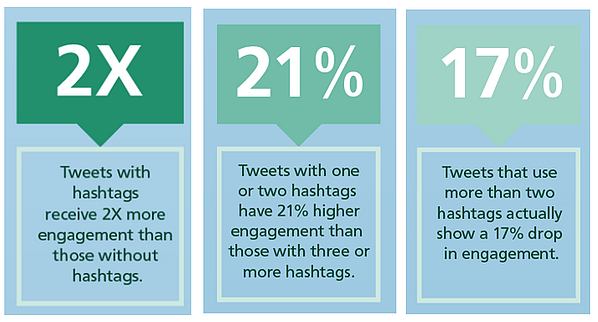 Use more hashtags! Just make sure it’s not obnoxious. If you’re looking to increase your visibility, one of the best ways is to leverage employees’ connections. 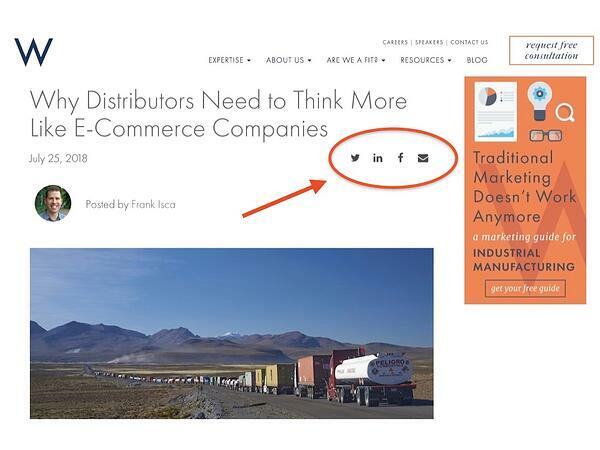 Each time you share a post or long-form content on LinkedIn, ask employees to do the same. This will increase exposure exponentially. Ever since Facebook updated their news feed algorithm to show less company page posts and more user profile posts, it’s been hard for companies to get exposure – even among their own fans. By tagging another Facebook page in your post, however, not only will your fans see the post, but also fans of the page you tagged. See what I did there? You can embed a social media post in your blog to create a direct link to your social media profile. Readers can even share, comment, reply, and like your post from right there in your blog. It doesn't just work with Facebook either; you can embed posts for pretty much all of the major social networks. And if you don't know how, just click here for the ultimate guide. Does your Twitter account have a lot of followers, but your Facebook page only has a handful of likes? You can always promote your different social media profiles on different networks. If they like following you on one network, they'll probably enjoy following you on another. A good social media contest can do wonders for your presence on social networks. Make the contest appealing to both followers and those who aren’t yet followers (and who are good prospects), and offer incentives for sharing on social (like an increased chance of winning). A few years ago, Esurance held a contest through which they gained more than 250,000 followers practically overnight! Even though they’ve lost a sizeable chunk of that once the contest ended, they still netted more than 15x as many followers as they did before the contest. Can you think of any tips I might have missed? Share some of your own pointers in the comments below. Reid is an Inbound Marketing Specialist responsible for the production and management of digital content for client programs. A strong writer with an in-depth knowledge of HubSpot, Reid plays an important role in meeting client needs. A graduate of Lawrence University, Reid majored in English and previously interned on Weidert Group's business development team.